Which Is a Better Breakfast – Cereal or Oatmeal? (http://nutritionfacts.org/video/which-is-a-better-breakfast-cereal-or-oatmeal). Stay tuned for the video coming out in a few weeks. And check out this older video for how to make A Better Breakfast (https://nutritionfacts.org/video/a-better-breakfast/). Studies like the one from General Mills are the reason it’s so important to look beyond the headlines, and it’s why I dedicate so much time to pointing out research flaws and red flags. The lesson is always check the primary source—or just let me do it for you! Citrus can also have an acidifying effect on teeth, so always rinse after consuming citrus: Plant-Based Diets: Dental Health (https://nutritionfacts.org/video/plant-based-diets-dental-health/). When it comes to caring for your teeth Don’t Use Antiseptic Mouthwash (https://nutritionfacts.org/video/dont-use-antiseptic-mouthwash/). Instead watch What’s the Best Mouthwash? (https://nutritionfacts.org/video/whats-the-best-mouthwash) for a better option. Have a question about this video? Leave it in the comment section at http://nutritionfacts.org/video/the-worst-food-for-tooth-decay and someone on the NutritionFacts.org team will try to answer it. Want to get a list of links to all the scientific sources used in this video? 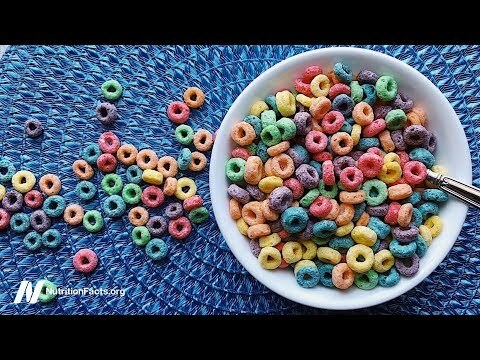 Click on Sources Cited at http://nutritionfacts.org/video/the-worst-food-for-tooth-decay. You’ll also find a transcript and acknowledgments for the video, my blog and speaking tour schedule, and an easy way to search (by translated language even) through our videos spanning more than 2,000 health topics.